If you run coach tours to Scotland you will have doubtless become familiar with the bright yellow minicoaches of HAGGiS Adventures and the bright blue minicoaches of Highland Explorer Tours. Chances are that when you pull your coach into the coach park of the various key visitor centres in Scotland one or other or both will already be parked up. You may have not appreciated that both these operations are in fact run by the same company but, apart from a similarity in the base vehicles, they are very different operations catering for quite separate markets. You will not, unless you’ve done some research, know that both operations are in fact part of the Radical Travel Group which in turn is part of The Travel Corporation. TTC operates in 60 countries and has 35 offices worldwide. Included in its operations are names like Evan Evans, Trafalgar, ConTiki and Insight amongst many others. 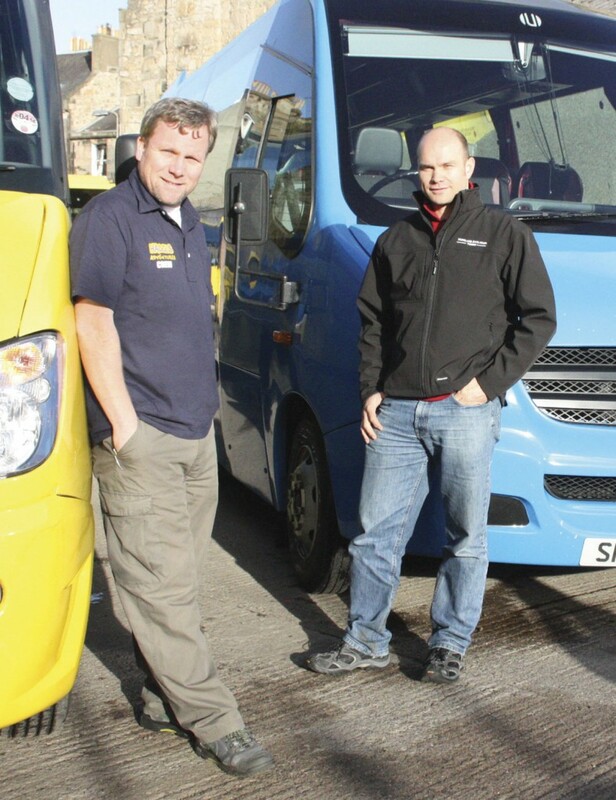 However, HAGGiS Adventures and Highland Explorer Tours, together with their Irish subsidiary Shamrocker Adventures, are run very much as a separate enterprise. Heading up the operation in Edinburgh, as it has been for many years, is Peter Duncan the General Manager ably assisted by Peter ‘Pete’ Smith, the Operations Manager and his right hand man Douglas ‘Dougie’ Johnston.